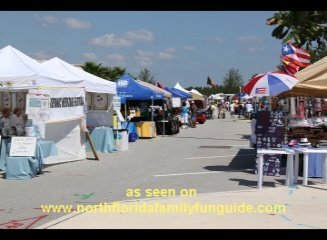 The 2009 Annual Hispanic Heritage Festival of Palm Coast (HHFPC), is sponsored by the “Hispanic American Club of Palm Coast”(HAC) and this is the 22nd year that they have celebrated this festival! It is located at Town Center, Central Park in Palm Coast, Florida, and it is annually in the month of October to celebrate Hispanic Heritage Month. The Hispanic Heritage Festival of Palm Coast is full of fun, food and flavors! I was hungry, and boy did that food look absolutely irresistible! I wanted to try everything! The Pina Colada's looked fabulous too! There was face painting, kids trampoline jump, the real Mach 5 and the Ghostbusters cars to look at, and more for the kids! On stage is a whole lineup of interesting performers throughout the weekend. The best part about this festival is the warm, happy, friendly faces everywhere you look. Did I mention the outstanding selection of interesting cuisine?? Come see this wonderful celebration! Come see the tour of the 2009 Hispanic Heritage Festival of Palm Coast!